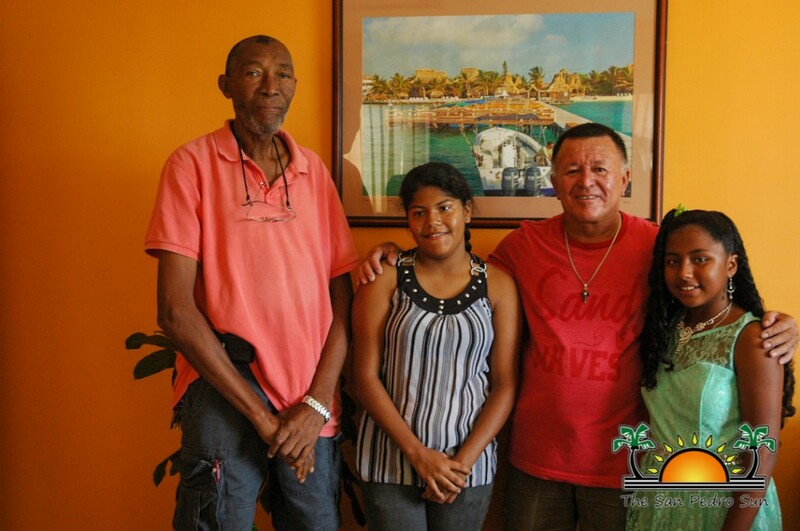 On Friday July 4th, Honorable Manuel Heredia Jr., Area Representative and Minister of Tourism and Culture, along with Caye Caulker Chairman Wayne Miller, awarded top Primary School Examination (PSE) scholars from San Pedro Town and Caye Caulker Village. Recipients of the awards were Shanelle Palma from San Pedro Roman Catholic School and Chelsea Rodriguez from Caye Caulker Roman Catholic School. They both received checks of $500 for getting the top marks in their respective islands. The checks are given as a small token of appreciation by the local government, not only to show recognition, but also appreciation for the students’ hard work and dedication to their studies. Shanelle will continue her secondary education at Corozal Community College in Corozal Town while Chelsea will commence her secondary studies at Pallotti High School in Belize City. The San Pedro Sun congratulates the girls on their commendable performances in the PSE and wishes both girls the best of luck in their future endeavors.